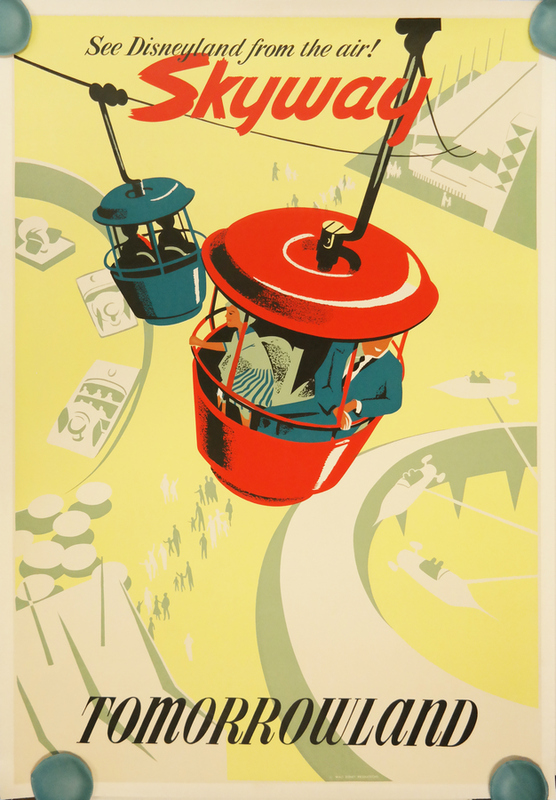 This is an original hand-silk screened poster for the Skyway attraction from the Disneyland theme park. This poster was originally designed by Bjorn Aronson in 1956 and features the Skyway overlooking several early Tomorrowland landmarks such as Autopia, the Rocket Jets, and the Tomorrowland terminal. Measures 54" x 36". This item is in good condition and has been professionally linen backed for archival preservation. Ships rolled.